mixi App Advertising Guidelines (hereinafter, the "Guidelines") set forth the rules for posting ads on mixi apps (hereinafter, "Apps") provided by Social Application Providers (corporate or individual mixi users who have agreed to the mixi Platform Terms of Service) using social networking services (hereinafter, "mixi") offered by mixi, Inc., (hereinafter, "us"); please post ads in compliance with the Guidelines; noncompliance may result in our taking measures such as deleting the Apps provided by you. Types of ads allowed on PC version mixi Apps are the seven (7) types: pure ads, company ads, network ads, mixi Ad Program ads, reward ads, in-app ads, and app announcement ads. No other types may be posted; posting any of these ads will be subject to compliance with the following advertising criteria and dos & don'ts (except for the mixi Ad Program). "Pure ads" shall mean banner ads and text ads to be transferred to external websites (other company media, apps and services; the same applies hereinafter); Social Application Providers may post pure ads only in places specified by us. "Company ads" shall mean banner ads and text ads to be transferred to your company websites (your company media and services; the same applies hereinafter); Social Application Providers may post their company ads only in places specified by us. "Networking ads" shall mean ads for various advertising and affiliate networks; Social Application Providers may post only in places specified by us. The mixi Ad Program is a network advertising program officially offered by us on which Social Application Providers may post ads and earn a specified amount of fees through our specified procedures. "Reward ads" shall mean a system to award items inside the app or virtual money on mixi to app users taking certain actions, such as "Click Advertiser's Ad" and "Register with Advertiser's Website," which will be subject to prior application. "In-app ads" shall mean ads using business materials and brands of your company or other companies as elements (items, designs, etc.,) inside apps, which will be subject to prior application; these may be posted in any place inside the apps without limitation; external links will be allowed in compliance with the following conditions. "App announcement ads" shall mean ads for announcing apps of your company or other companies (including affiliates and joint businesses; refer to the following descriptions for details), which may be posted in any place inside the apps without limitation; however, only apps released may be announced but not those under development or produced by other companies; in addition, app announcement ads may not be sold as ad products to other companies. Allowed advertising spaces are as follows; be advised that noncompliance with the allowed spaces/regulations may result in discontinuation of your Apps without notice. 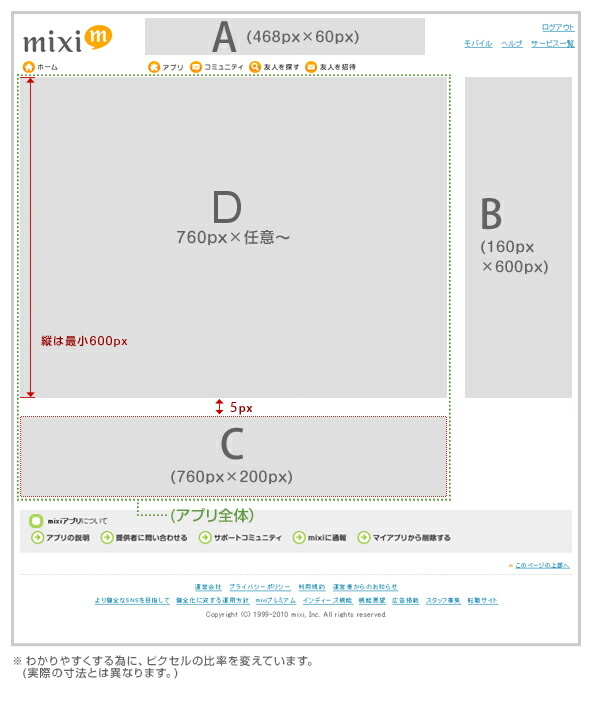 mixi will deliver Ads to Spaces A and B. Types of ads allowed in the footer space are pure ads, company ads, network ads, mixi Ad Program ads, reward ads and app announcement ads; banner ads and text ads will be allowed. *Ads on the mixi Ad Program will be displayed automatically. ・Border the banner space if the color is the same as the background. 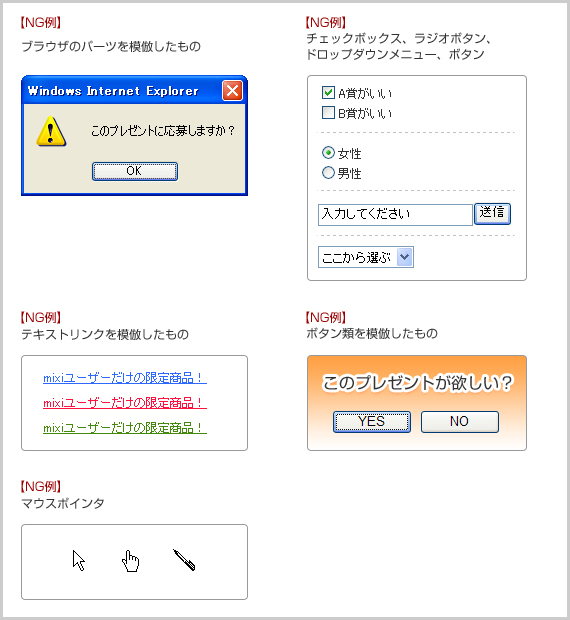 ・Use a separate window to open the link. * Procedures to lead to external websites do not apply. 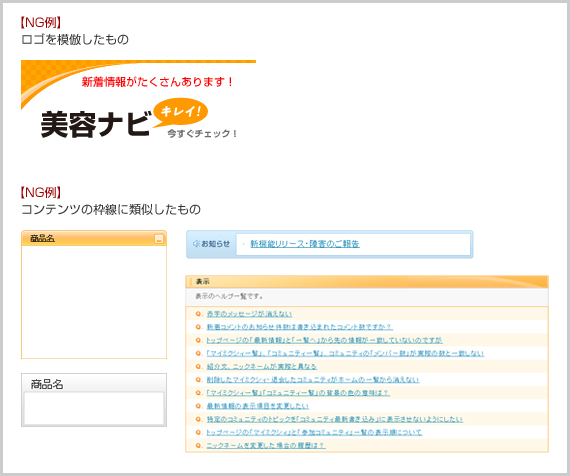 ・Add notations such as "Ad" to clearly indicate that the texts are for advertising. * Procedures to lead to external links do not apply. * In either case, leave spaces (the same color as the background allowed) at the top of the ad area for the pixel numbers specified in the diagram. * Allow no scroll bars to block the ads. Types of ads allowed inside apps are reward ads, in-app ads, and app announcement ads; as they are to be presented as the elements inside apps and though there is no limitation on the spaces or works, be sure to comply with the following details. * Posting ads in Space D (Inside App) on the mixi Ad Program is subject to our prior approval. Posting these ads is subject to prior application; click here for details. Provide a lead such as a button inside the app to open reward ads externally (through a separate domain/window). Insert a page to announce the transfer to an external site after clicking the button (For details, refer to the procedures to lead to external sites); these Guidelines will apply to ads transferred to external sites after clicking the button. Posting banner/text ads inside apps not allowed; use Space C for that purpose. Types of ads allowed on the mixi apps for smartphones are the three (3) types: mixi Ad Program ads, in-app ads and app announcement ads; no other types may be posted. "In-app ads" shall mean ads using business materials and brands of your company or other companies as elements (items, designs, etc.,) inside apps, which will be subject to prior application; these may be posted in any place inside the apps without limitation; external links will not be allowed. Allowed advertising spaces are as follows. If the developer does not comply with the guidelines and placement of ads set by mixi, the mixi has the right to shutdown the application without prior notice. Ads will be displayed automatically in mixi Space A; only ads on the mixi Ad Program will be displayed automatically in mixi Space B. * We are not displaying ads currently in mixi Space B; we will announce when to start doing so. Types of ads allowed on Android Version mixi Apps are the three (3) types: mixi Ad Program ads, reward ads, in-app ads, and app announcement ads; no other types may be posted. The mixi Ad Program is an advertising program officially offered by us on which Social Application Providers may post ads and earn a specified amount of fees through our specified procedures. *mixi has released a preliminary Ad Program for Android and iOS applications that will be further developed in the future. Ads implemented by Social Application Providers on the mixi Ad Program as specified by us will be displayed automatically in the mixi Space. Types of ads allowed on Mobile Phone Version mixi Apps are the three (3) types: mixi Ad Program ads, in-app ads, and app announcement ads; no other types may be posted. Allowed advertising spaces are as follows; be advised that noncompliance with the advertising spaces/regulations may result in discontinuation of your Apps without notice. Ads allowed in header and footer spaces are mixi Ad Program ads, which will be displayed automatically in both header and footer spaces. * Ad specifications are subject to change without notice. Types of ads allowed inside apps are in-app ads and app announcement ads; posting in-app ads are subject to prior application; click here for details; posting ads as elements inside apps is not subject to limitation on the spaces or work; however, external links and posting banner/text ads not allowed. Posting reward and in-app ads will be subject to prior application to and approval of us; contact us for information through the following Inquiry Form no later than thirty (30) days prior to starting to post such ads. * We will return review results roughly in ten (10) business days from the application date. * Be advised that you may not post such ads without our approval on the review results. * We may request additional information. * Be advised that we may audit the details of joint businesses. For the purpose of these Guidelines, "joint businesses" shall mean businesses which Social Application Providers develop and conduct in cooperation and share sales with other Social Application Providers according to roles such as revenue sharing models; these relationships do not include simple contractor-subcontractor relationships; Social Application Providers who provide apps under other Social Application Providers' brand names shall have the rights equal to those to their own apps. Don't use any information derived from mixi user profile as marketing terms. Obtain permission from right holders before using their products, images, quotes or titles used on the website, including products or titles mentioned in the descriptions. Don't use imitative or similar and potentially misleading OS or web browser features. Don't use designs borrowed from or similar to mixi content or features, which may be mistaken for mixi content. Don't advertise anything without the advertiser's address, express product liability, or other information, such as product names, client names, and logos on the work. Don't use verbal expressions offensive to users. Don't use ambiguous expressions including repetitions of meaningless words. Don't leave a space at the beginning of a line or consecutively use half-size spaces, half-size <>, half-size katakana. 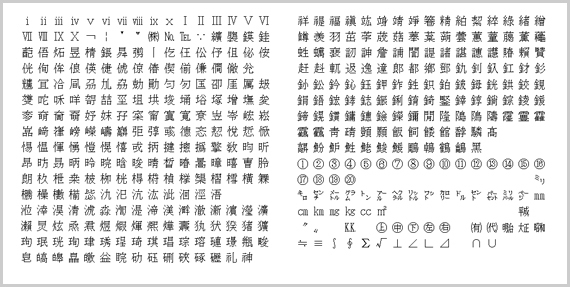 Don't use characters that may become garbled （full-size「～」、「－」、「゛」、「￠」、「∥」、half-size「\」、「+」）or machine-dependent characters. Face marks with no machine-dependent characters may be used (but not consecutively). These may be distorted or displayed improperly depending on product requirements. We may, at our discretion, make additions, changes, or deletions in the Guidelines at any time for any reason, in which case Social Application Providers shall comply with the changed details of the Guidelines, and we will have no responsibility for damage from such changes.